When I first started my journey online it became quite clear that keywords played a big part of creating an online income. So at that time which was probably 5 or 6 years ago now I was looking for a keyword tool that did a little more than just keyword research. I came across Market Samurai. They had a free version even then so I downloaded it. I still use it to this day. Following is my Market Samurai Review. If you wish to go to the Market Samurai site directly just click on the following link. Market Samurai Review – What Is Market Samurai? Market Samurai is so much more than just a keyword research tool. This keyword tool was developed by the Noble Samurai Team which is a group of targeted internet marketers led by their CEO Eugene Ware. To date Market Samurai has over 400,000 users. Keyword Research Module – to me this is the most important module in Market Samurai and it is the only one that is free. You need to have an adwords account(which is free) in order to use the keyword research module. To use this module you simply enter your seed keyword and how long you wish the keyword phrase to be 1 to 10. The software will then generate your keywords. Your next step is to analyze the keywords that were generated. You can setup the parameters that you wish your keyword to fall into. For example if you only want keywords that bring back a certain number of searches and has a certain amount of competition you can find that out. SEO Competition Module – this module I also find very helpful. 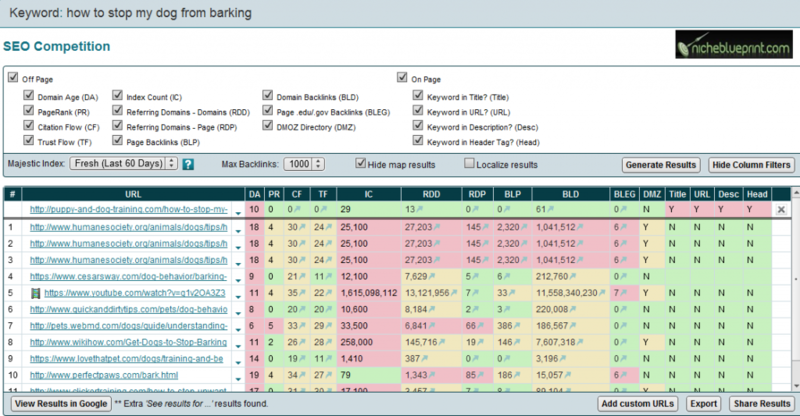 You put in the keyword you are trying to rank for and it will bring back the top ten websites ranking for that keyword. It will give you information on certain parameters used in ranking such as keyword in title, keyword in url, etc. You can enter your own website and hopefully know what you need to work on. Rank Tracker – This used to be part of the paid version of Market Samurai and for those who have owned the software for some time still have a scaled down version of Rank Tracker. This will track your keywords and give you your search engine rankings. Domains – This module will help you find a domain with your keyword in it. Just enter your keywords and it will let you know what is available. If it is available you can then purchase the domain. Monetization – This module will actually help you find products to promote. Enter your keywords and then select where you want to look like Clickbank, Amazon etc. Publish Content – This module will actually let you publish content to the web and your blog or site. Promotion – This module will help you find backlinks. When using Market Samurai to gather information I usually start with a seed keyword and then ask Market Samurai to find me more keywords. If however you have some keyword lists you can import them into the software and then analyze your list. What Information Can You Gather? As you can see Market Samurai can give you a lot of information. You can find out how much competition you will have if you use a particular keyword. It will show you what you need to do to beat the competition. It can give an estimate of how much traffic a keyword or keyword phrase will receive in the #1 spot. In all this software gives a lot. Whether you are a newcomer(newbie) to internet marketing or an experienced marketer you will benefit from Market Samurai. If you are a newbie there will be a bit of a learning curve as you become familiar with not only the software but SEO and the associated terminology. Thankfully Market Samurai does offer training videos on each of the modules so it won’t be too long before you will be confidently searching for keywords. Market Samurai offers a lot of information which helps tremendously when you are trying to rank your website. It is updated on a regular basis which makes the information relevant. I also like the fact that is a one time fee. I think Market Samurai is well worth the price they charge. Although full version is suppose to be $149.00 they do offer a deal. This happens when you download the trial version. After downloading the trial version the guys at Market Samurai Dojo will offer the software for the discounted price of $97.00. This gives you the full version of Market Samurai. They offer a lot of video tutorials that help you quickly acclimate to using the software and they are constantly updating the software. 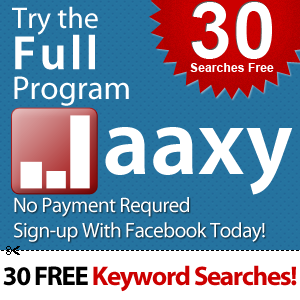 If you cannot afford the full version you will still find the free keyword research version quite handy to have.